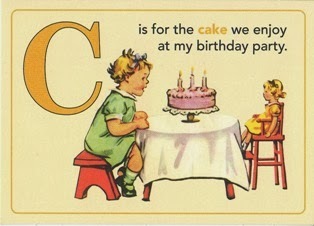 Lucky for me, I'll be eating cake in a couple days when we celebrate my birthday. Yup, Tuesday I'll be 25 for the millionth time, and can't wait! I love my birthday! Even though I am late and it's no longer Thursday, I am going to tell you why. That's what this post is about. What I have been doing all week long. I even made a collage for you. I've made a different cookie each day this week. Monday was planning and shopping. Wednesday I baked Orange Tarelles for the hubby. His mom makes lemon and I wanted to make them my own, hence the orange. Gotta say, they are awesome! Thursday I baked the Candy Cane cookies. Something with Christmas candies used. About 30 dozen or so later and I am done. No more cookies till next year! I'm cookied out!!!! My hubby is Italian and I'd love to hear more about your Tarelles. Wow. That's a LOT of cookies! Tarelles sound interesting! 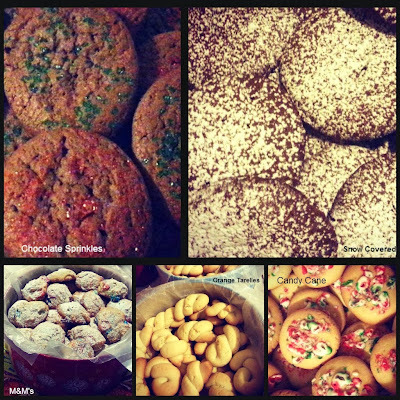 I love your cookie collage... Every year we have a Christmas cookie day where we bake all of our favorite candy creations and sweet concoctions! Charming post for the letter "C"!